Closeout. 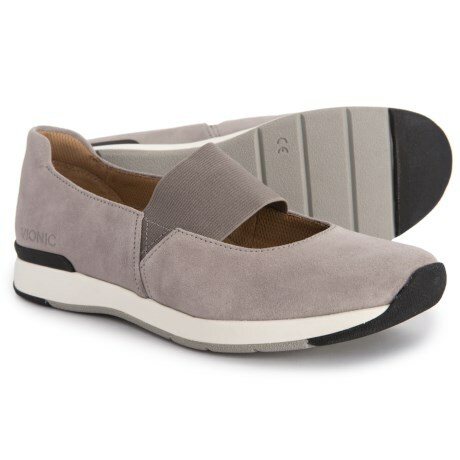 Vionicand#39;s Cadee Mary Jane shoes have a suede upper with a stretchy strap and a cushioned footbed for year-round comfort. Available Colors: LIGHT GREY. Sizes: 6.5, 7, 7.5, 8, 8.5, 9, 9.5, 10, 11.